Are you interested in living in Peru? Would you like to retire in one of Latin America’s most beautiful and diverse countries? Are you wondering whether the retirement visa (or rentista visa as it’s called in Peru) is a good option for you? It may surprise you that such a visa can be an option for a digital nomad, too. With this interview, we’ll start a series about residency and business options in Peru. I’ve already explained briefly in another article how I became a legal resident here and more detailed information will follow step by step. I’m glad to have Sergio Vargas Crimi supporting me with this part of the Digital Nomads Peru website. 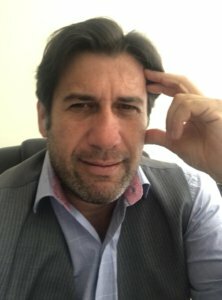 He is one of Peru’s most experienced immigration lawyers and one of the founders of NVC Abogados, a small law firm with their office in Barranco/Lima. 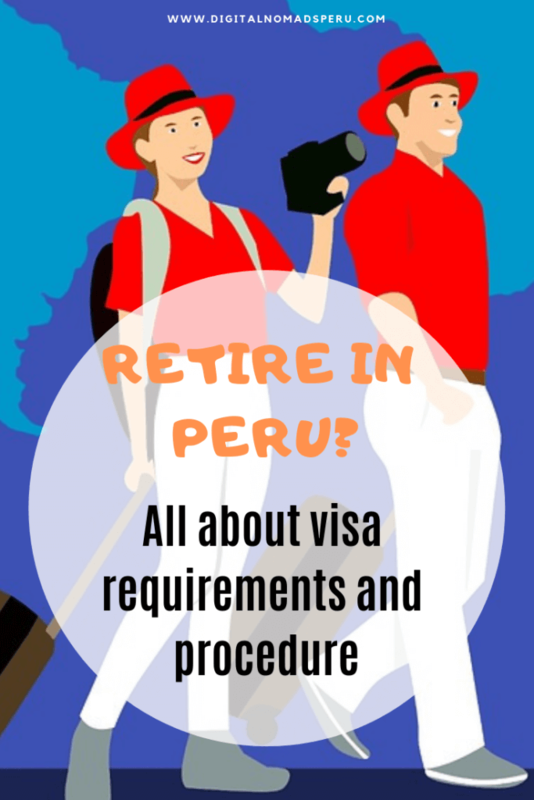 They’ve successfully processed hundreds of different types of visas and offer you a very personalized approach if you wish to work or retire in Peru. I asked Sergio to explain to me what you need to know about a rentista visa in Peru. Don’t hesitate to contact NVC Abogados directly if you would like to apply for a rentista visa. 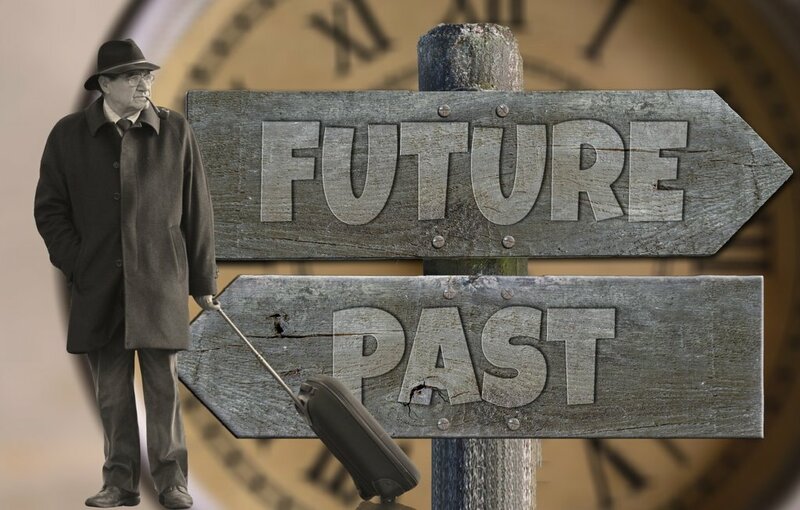 What exactly is a retirement visa and who can apply for it? In summary, such a visa is granted to people who have a regular and permanent income of at least US$ 1,000/month. This income must not be a salary. However, it may originate from any country, including Peru. IMPORTANT: If you’re married or/and have children, the minimum amount required to apply rises by US$ 500 per dependent person. Which documents need to be provided by the applicant? Apostilled proof of income. If you’re a retired US citizen, this will be your social security certificate, for example. Please note that the required apostille is valid for 6 months, so make sure you don’t get it too early. Apostilled marriage certificate or birth certificates of children if they are to be included in the rentista visa. IMPORTANT: Make sure that all personal information matches exactly the information in your passport. This is especially important in the case of the proof of income. Peruvian authorities won’t accept “Bob Miller” when your passport identifies you as “Robert Miller”. 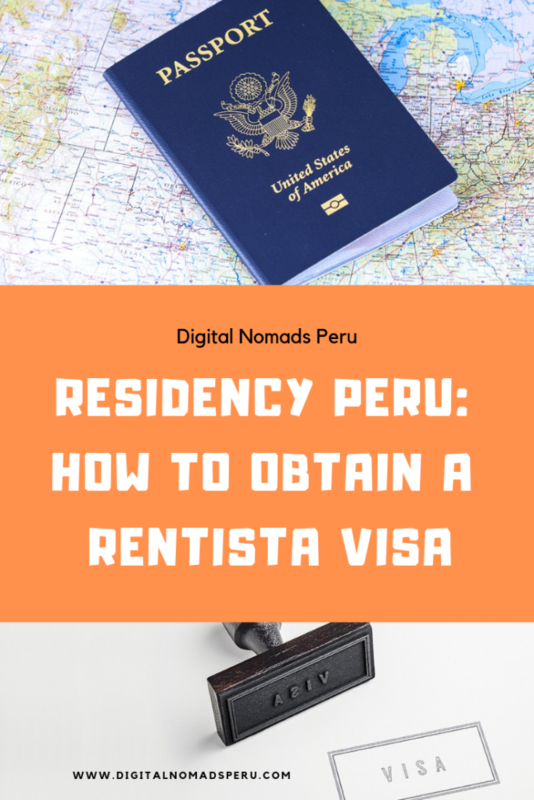 What is the procedure like once someone decides to apply for a rentista visa in Peru? First of all, you need to gather all the required documents, have them translated into Spanish and forward them to NVC Abogados. This can be done while you’re still in your country of origin. Once we have checked your documents and found them to be complete, we will ask you to come to Peru. Our first step here will be to open a bank account. 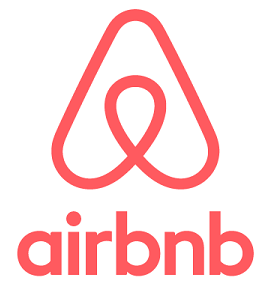 In order to do this, you’ll need a special permission to sign contracts in Peru. We will prepare all necessary documents for you, you’ll just have to sign them. As soon as you have your Peruvian bank account, you’ll need to make one transfer of the exact amount of money you’ll receive as soon as your visa is approved. Proof of this transfer will be part of your application. Once you hold your rentista visa, this amount of money (minimum US$ 1,000) will have to deposited onto your Peruvian bank account monthly and permanently. The next step will be your Interpol registration and check-up. This is something you need to do personally but it’s part of our services to accompany you and make sure that all necessary fees were paid and that you have everything with you that you need. A member of our office will secure a spot in the waiting line early in the morning, so once you arrive, you’ll almost immediately be able to enter the Interpol building. After you’re done with Interpol, we will submit your application to the Peruvian government and make an appointment at Migraciones for you so that there won’t be any delays once your visa is approved. These first steps from opening a bank account to submitting your application can be done within a couple of days. Afterwards, you’re free to travel in Peru if you like. Once your visa is approved, the last step will be going to Migraciones and picking up your Carné, your identity card for Peru. When does the applicant have to be in Peru and how much time do they need to stay during the application process? You will have to be in Peru once you have all the required documents and are ready to open a bank account in Peru. You may enter the country with a tourist or business visa. Changing your migratory status (Cambio de Calidad Migratoria, in Spanish), will be part of the application process. As soon as you have transferred the exact sum of your permanent and monthly income for the first time from the account in your country of origin to your new Peruvian bank account, the application process can officially start. You’ll need to have your fingerprints taken and get some photos. If you decide to hire NVC Abogados, we will accompany you everywhere and make sure that it’s a hassle-free process. It takes 60 legal days to complete all the necessary steps and wait until your rentista visa is approved. That means that you have to stay approximately three months in Peru. If you want or need to leave the country during that time, you have to ask for a special permission to leave the country (there’s a form for it, it’s just a formality) and may then spend 30 days outside Peru. Does the holder of a rentista visa have to pay taxes in Peru? If you’re granted a retirement visa in Peru, you are not liable to pay taxes in Peru. The amount of your permanent and monthly income originating from one of the sources mentioned above doesn’t matter. However, you may have to pay taxes in your country of origin. Every country has different laws as far as this is concerned. Is the holder of a rentista visa allowed to work? According to the Peruvian law, the holder of a retirement visa lives exclusively on their non-work related income. With this kind of visa, you are not allowed to apply for a job in Peru. Does a rentista visa require a renewal after a certain amount of time? No, it doesn’t. Once your visa is approved, you’re granted permanent residency in Peru. How many days does the holder of a Rentista Visa have to stay in Peru per year? The holder of a rentista visa is required to spend 183 days/year in Peru. Does the applicant have to speak Spanish? If you decide to retire in Peru, you can do so without having to pass any language test. However, for living in Peru, at least basic Spanish skills will make your experience much more enjoyable. You don’t need Spanish for the application process as we will accompany you whenever you need to deal personally with Peruvian government authorities. A rentista visa is not what you’re looking for? No worries, there are more options in Peru. In the near future, Sergio will tell us how to set up a digital nomad-friendly company even as a non-resident and how to obtain a work visa. Have you already joined the Digital Nomads Peru Facebook group? If not, do so now to connect with digital nomads, expats and locals who work online. For comments and questions, please don’t hesitate to write in the comments. Do I really need a lawyer to become a resident in Peru? Very interesting to learn about this process! 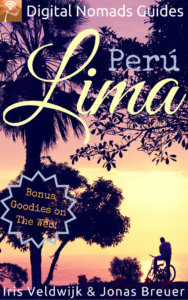 I recently heard that Peru is now the most popular country to retire to. This will really come in handy for people looking to move! Send a few Canadians, Crystal. The very first expat I met here in Lima was from Canada. Unfortunately, she lives in Brazil now.